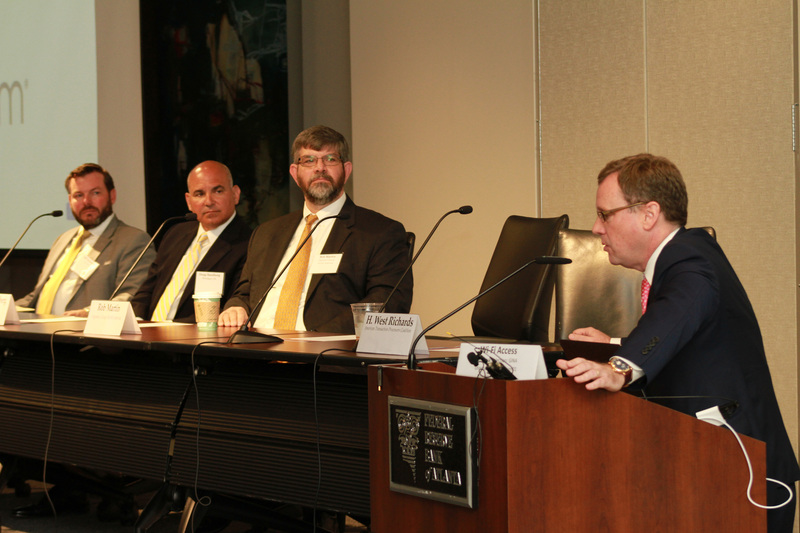 The Federal Reserve Bank of Atlanta played host to the inaugural Transaction Alley Cyber Forum on May 22, with a capacity crowd of nearly 100 industry executives, academic leaders, and government stakeholders. 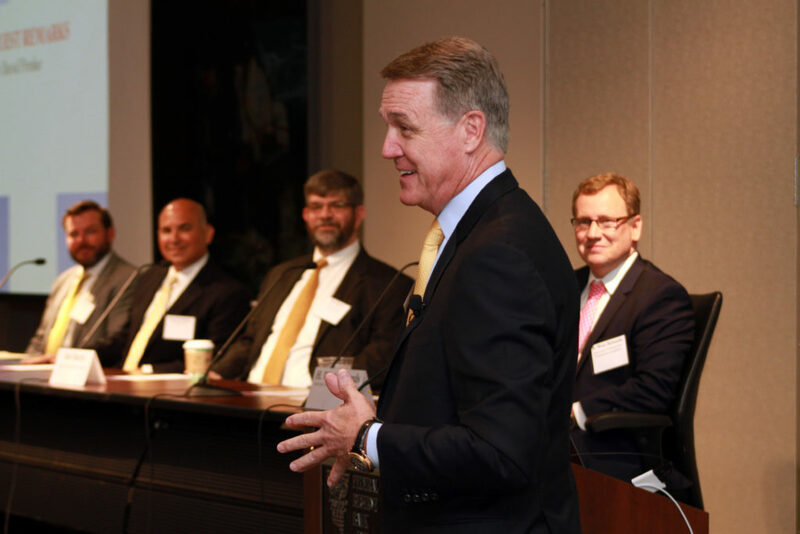 This first convening featured two panels – one comprised of payments industry cybersecurity experts, and the other government cybersecurity authorities – both of which were moderated by ATPC Executive Director, H. West Richards. Senator David Perdue (R-GA), presided over the payments industry panel – as he is the only former Fortune 500 CEO currently serving in Congress – and gave brief remarks on the importance of cybersecurity and payments to the state of Georgia. 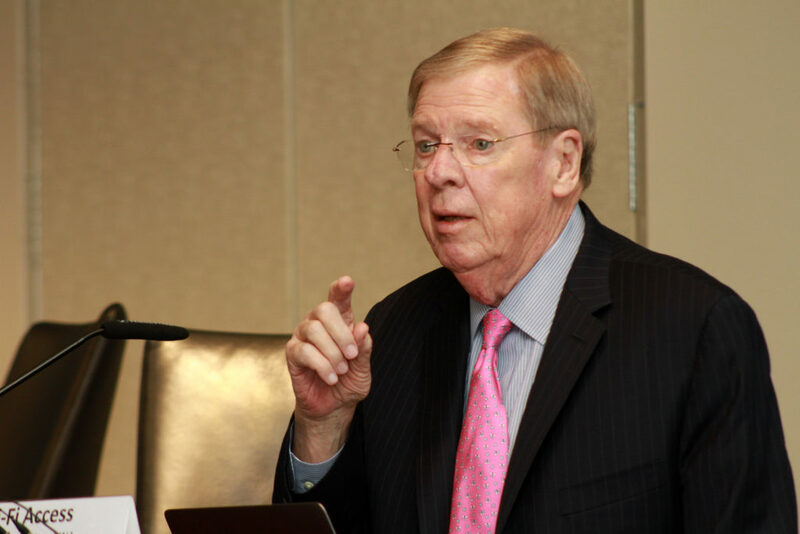 Senator Johnny Isakson (R-GA), one of the first ATPC champions, was in attendance to engage with the government panel. He also gave brief remarks which included compliments to the ATPC for creating the Cyber Forum concept and convening the impressive roster of stakeholders in the room. A press release recapping the event can be found here, as well as a gallery of photos from the gathering here. 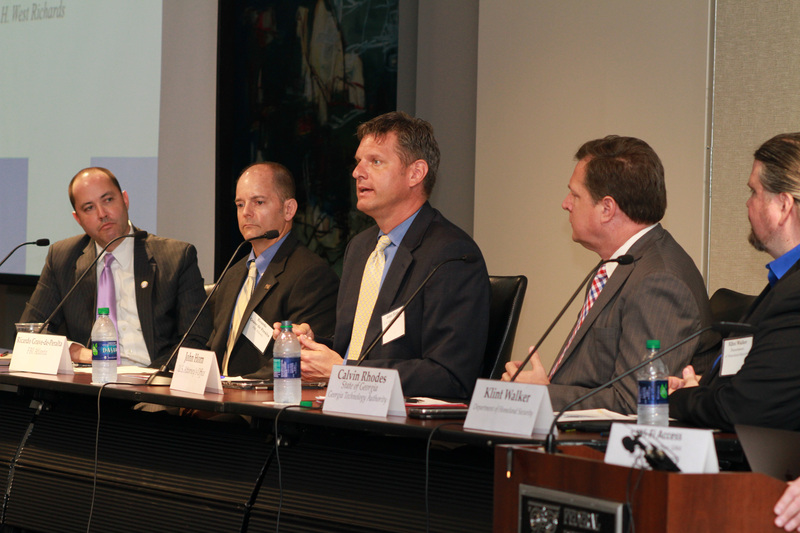 This first Cyber Forum is the culmination of two years’ worth of hard work, and sets the stage for an ongoing collaboration of participating stakeholders to ensure Transaction Alley’s resilience in the face of an attack. Future meetings are still TBD, but the next will likely take place at Georgia Tech sometime between late 2017 and early 2018. Stay tuned to the ATPC website for an announcement of dates and run-of-show.